Re: Alfa sales were down 30% in January yes so ? well, I have been polite and patient but I fail to see the point of sales figures? Are some trying to infer the car is not good? not desriable ? We know it is . Yes it is a bit expensive but it's a 4 door Ferrari as per Jeremy Clarkson ( and he's right !) Someone said, the Alfa was 3X the price of their Saab yes, true! well, I'd say it's more than 3 X the car! sure is better than our Viggen even w/ all the mods we've done! - or could do. You get what you pay for. Actually, the car is a performance bargain and for you folks that worry about future value? look at the prices of old Alfa Romeos! (much better $ than an old Saab!- sadly ! ) ................ Actually, a decrease in sales is a great opportunity to get a good deal ! and carmakers typically offer rebates for slow moving lines. ( my brother got 10 K $ off - whilst a year ago they were selling for 11K$ over MSRP )................................. It would be very bad if they quit making the car! 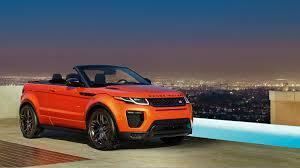 ( our LLC's range rover Evoque convertible SUV will cease production in 2019 I'm told as there were not enough sales ) sad, it is a unique vehicle the ONLY vert SUV ! verts are a very nice thing when you have 350 days a year of sunshine! BTW there is a rumor Alfa will make a coupe, a hybrid gas/ electric w/ over 600 HP(total) and a convertible ! - next year ! ->Posting last edited on Thu, 7 Feb 2019 22:42:06.